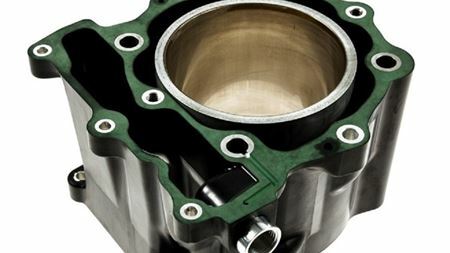 By the year 2020 the first cylinder housings manufactured from polymer composite materials will be introduced into passenger car and motorcycle engines. A U.S. professor is seeking an industrial collaborator to help demonstrate a new scaling approach to composites design. Solvay and 3A Composites have launched Tegralite, a range of lightweighting materials suitable for the aeronautics industry. Sicomin will be exhibiting a range of casting epoxy systems t at the upcoming JEC Americas show. Windform composite materials, suitable for 3D printing, have been on display at the Maker Faire in San Francisco, USA this May. Two grades from Scott Bader’s range of Crestabond adhesives are suitable for use in the joining of components for marine applications. Researchers at ORNL have developed a way of using chemical vapor deposition (CVD) to employ graphene on a large scale. Sales in the Brazilian composites industry were US$240 million in the first quarter of 2015, according to a new survey from ALMACO. ALMACO has revealed details about the International Seminar on Composites. US-based Hanwha Azdel Inc has increased capacity for its Azdel SuperLite lightweight reinforced thermoplastic (LWRT) composite product. The United States of America will be the partner country of this year’s Composites Europe. Centro Ricerche Fiat is one of the first confirmed speakers at Industrial Nanocomposites 2015. Mexican composites company Katcon Advanced Materials and German engineering specialist M.TEC have announced a strategic cooperation. R. Byron Pipes will deliver a keynote address at the JEC Americas composites show. Wuxi Suntech Power Co Ltd and Taiwan Carbon Nanotube Technology Corporation (TCNT) have developed a carbon nanotube photovoltaic module frame.